OCTOBER 4, 2018 – SPECIAL NOTICES » Continue Reading. 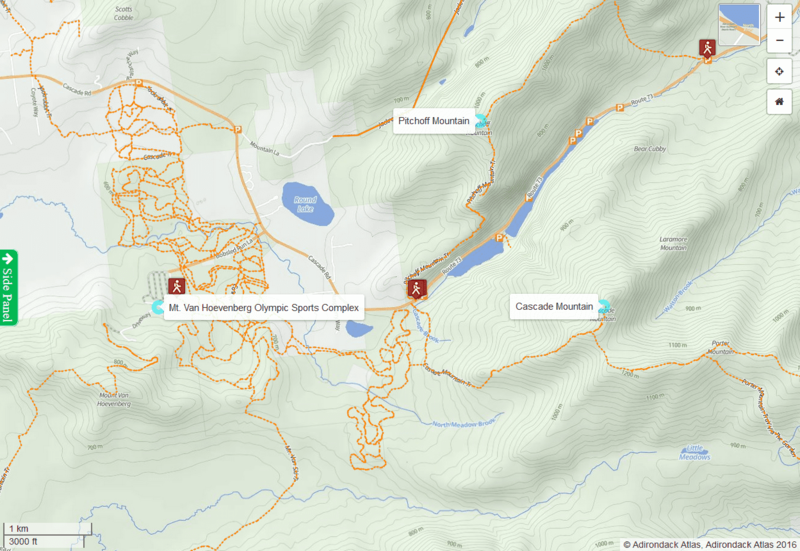 The New York State Department of Environmental Conservation (DEC) and the Olympic Regional Development Authority (ORDA) have announced plans for managing use associated with the popular Cascade Mountain Trail this Columbus Day holiday weekend. 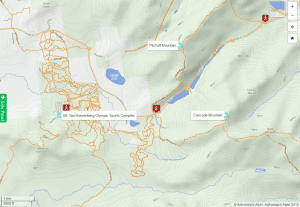 The trailhead parking lots and the shoulders of State Route 73 in the vicinity of the Cascade Mountain and Pitchoff Mountain Trailhead will be closed to public parking beginning in the late afternoon on Thursday, October 4, through Columbus Day. Hikers will be directed to the Cross Country Parking Lot at ORDA’s Olympic Sports Complex beginning Friday morning and throughout the holiday weekend. Only designated shuttles from the Sports Complex will be allowed to enter the Cascade Mountain Trailhead area. Parking will be prohibited on the shoulder of the northbound lane from the entrance to the Roaring Brook Trailhead Parking area north to the bridge over Putnam Brook. Parking will be prohibited on the shoulder of the southbound lane between the guiderails south of Putnam Brook Bridge. » Continue Reading. SEPTEMBER 13, 2018 – SPECIAL NOTICES » Continue Reading. SEPTEMBER 6, 2018 – SPECIAL NOTICES » Continue Reading. AUGUST 30, 2018 – SPECIAL NOTICES » Continue Reading. AUGUST 23, 2018 – SPECIAL NOTICES » Continue Reading. AUGUST 16, 2018 – SPECIAL NOTICES » Continue Reading. AUGUST 9, 2018 – SPECIAL NOTICES » Continue Reading. Several typically restricted Wildlife Management Areas (WMAs) in Jefferson and St. Lawrence counties will be open to the public from Saturday, August 11, through Sunday, August 26, 2018. 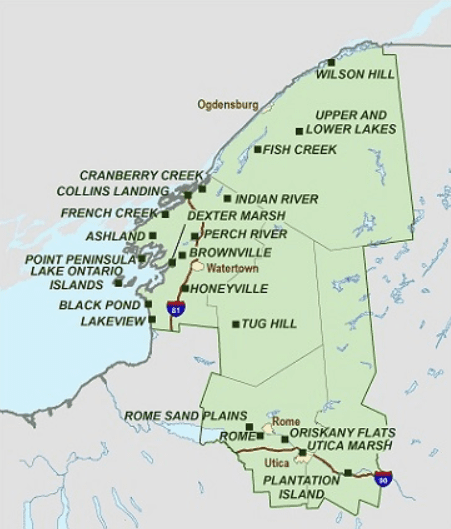 Portions of these WMAs are marked as “Refuge” or “Wetlands Restricted Area” to allow waterfowl and other listed species to breed and raise young without interference from people. » Continue Reading.